Derek Malcolm called it "a supreme piece of film-making which hardly puts a foot wrong for 2 hours...a magnificent and utterly timeless dissection of passion and affection, the game of life and love itself." 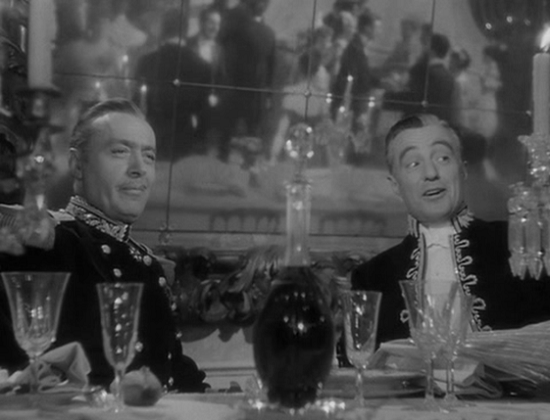 Max Ophul's The Earrings of Madame De... is an elegant film. Filled with Ophul's magical camera work and fine performances all around, it is a film to be watched and cherished by all serious film goers. The Earrings of Madame de... takes us into the Fin de siècle Parisian world of the mannered rich, where the act of amorous intimacy is as much an expected social obligation as it is a personal pleasure, where a serious discussion about serious things is considered as indiscrete as loving one's spouse. 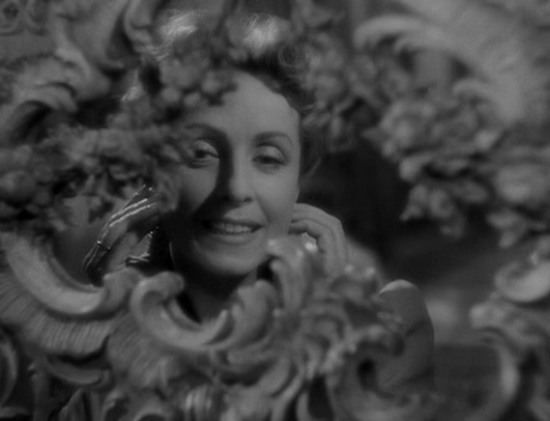 Madame de...opens with Max Ophuls' fluid camera taking Louise's viewpoint as it scans her jewelry cases, and wardrobe, searching for something of considerable value to sell. The woman has rung up a large debt, and she loathes asking her husband for the money. Reluctantly, she decides on a pair of heart shaped diamond earrings, a wedding gift from her husband that she is not particularly fond of. The sale of those earrings sets in motion a chain of events that will lead Louise down a fateful road, where desire, misunderstanding, and deception, will culminate in tragedy. She finds love but at a drastic cost. In Ophuls film, passionate love is a thing of beauty, the antidote to a shallow existence, the inspiration for art, and for life itself. It is also a kind of sickness that often clouds one's better judgment, causes one to neglect responsibilities and make rash, sometimes fatal decisions. 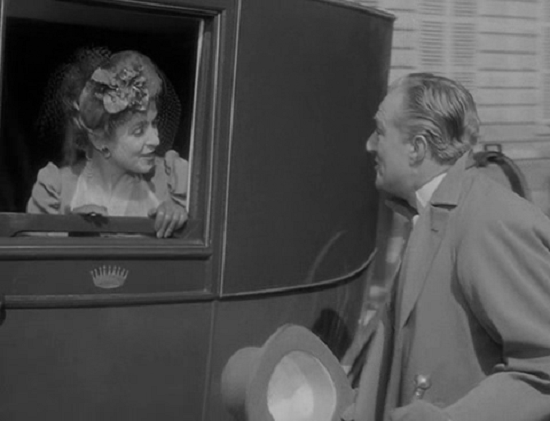 The film tells the story of a love triangle between Madame de (Danielle Darrieux), her husband (Charles Boyer) and an Italian diplomat (Vittorio de Sica). On its face, it is a soap opera plain and simple but if one goes beyond the surface, the film is a play on the upper crust morals of Viennese society. Love is a thing that can be toyed with but never possessed. The script is based on a novel by Louis de Vilmorin. 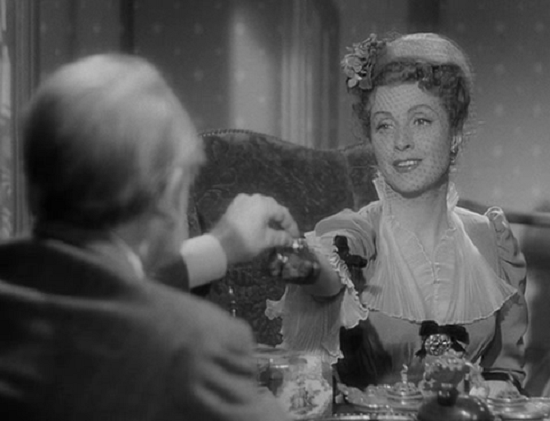 Madame De... (Danielle Darrieux) is married to the rich and assured General Andre de... (Charles Boyer). When she realizes she has debts she cannot pay and does not want her husband to learn of, she sells a pair of diamond earrings her husband gave her the day after they were married. She tells her husband a little lie, that the earrings were stolen. The jeweler, not knowing of the little lie, soon goes to the general, assuming he will want to buy them back. He does, but rather than embarrass his wife, he gives them to a mistress he is saying farewell to as she departs for Constantinople. And there, she sells the jewels to cover her gambling debts. 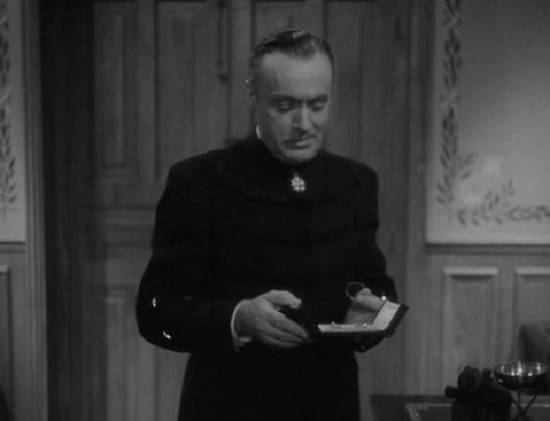 The jewels soon appear in the window of an elegant Constantinople jewelry store where Baron Fabrizio Donati (Vittorio De Sica), an Italian diplomat soon on his way to Paris, buys them. And since fate and convenience work in mysterious ways, Donati meets Madame de in Paris and they fall into what passes for love by their class. Donati gives the earrings to Madame de as a sign of his love, not knowing they originally given to her by her husband. And Madame de must now tell a few more little lies. When her husband, the General, sees them, she must tell even more. From a story of amusing deceptions and brilliant social manners, the movie becomes a much darker and sadder story. Donati may be in love, but he understands the limits of their social class. Madame de… may be in love, but for the first time in her life she moves beyond those limits. And the General? He may be worldly to a fault, he may even love his wife, but even he cannot accept becoming an object of smiles behind fans without taking some sort of action. Thus in this amazing movie, lives of several people are linked by coincidences involving the sale and purchase of a set of earrings making it the silent inanimate fulcrum of the movie. The synchronicity and coincidences of the scenes, though contrived, works like a beautiful symphony throughout the film. As the diamond earrings of Madame de... travel a circuitous route from one owner to the next, an entire world comes to life—both the world of the French nobility during the Belle Èpoque as well as the opulent private life of the vain Madame de..., her indulgent, aristocratic husband, and her soft, charming lover. The travels of the earrings in a way represent the circularity of life. 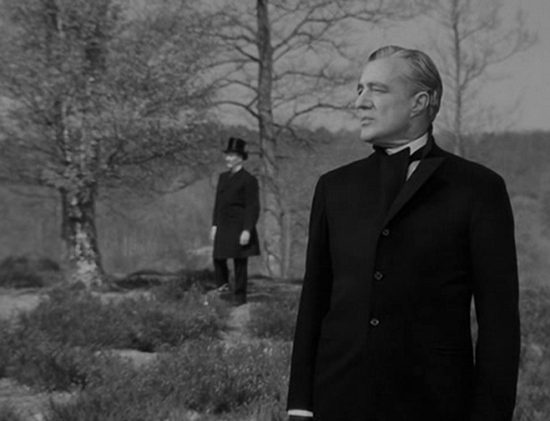 To Max Ophuls, movement is life, and elegant tracking shots are of course, a hallmark of his movies. 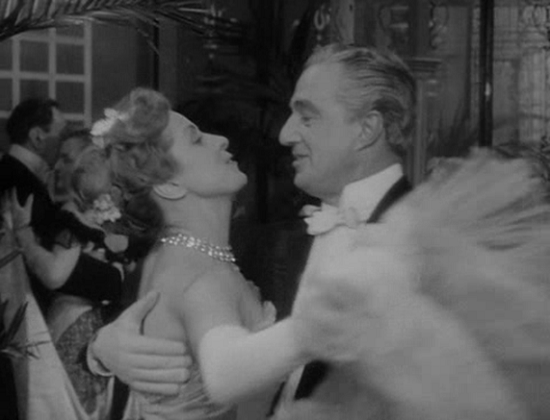 A classic example of Ophuls' genius with the moving camera can be found in the legendary ballroom waltz sequence that follows Louise and the Baron. At points in the dance sequence the swirling pair dissolve and reappear in different settings, time frames, from different perspectives, and with nuances in speech and expression, that ingeniously show the deepening of their relationship. Ophuls also delights in repeatedly using things like staircases, windows, doors, candles, and mirrors to facilitate the isolation or coupling of the characters and highlight themes as the plot develops. Everything in this film is perfectly coordinated and composed. Even the acting is under control, but the emotions seethe underneath, and are given away by an arched eyebrow, a turn of phrase, or a longing glance. Like a Mozart composition, everything is outwardly pleasing, but inwardly aching, but unlike Mozart, with Ophuls there are seldom happy endings. 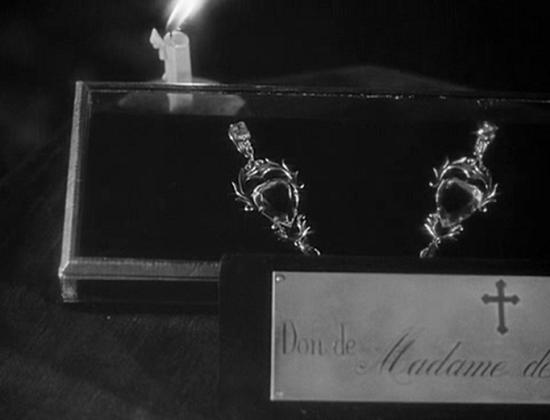 Earrings of Madame De..., is a movie that gets better with repeated viewings. It is so perfectly crafted, and there are many subtleties that can be overlooked on an initial viewing. For example, it took a second viewing for me to realize that the earrings, although carried earlier through various peregrinations by Louise, the Count, his mistress, and Donati, were not fully shown in close-up until Louise's lover, Baron Donati, gave them to her as a token of his love. Once that happens, they take on a special significance, not only for Louise, who looks on them as a surrogate for her lover, but for her husband, who now associates them with his wife's infidelity and the man who is responsible for it. No written review can accurately describe the profoundly sublime after-effect of "Madame de" - a delicate and sumptuous screen tragedy, typified by an Ophuls exhilaratingly swirling camera and extravagantly decorative period sets and costumes. Madame De…is Ophul’s swan song, his requiem.